Extra virgin olive oil is one of the best edible oils with its pleasant flavor, antioxidant properties and health benefits. It also has one of the highest level of monounsaturated fatty acids of all oils, which studies have shown may help lower your risk of heart disease by improving related risk factors, and is also rich in fat-soluble vitamin K and vitamin E.
The nutritional value of olive oil truly surpasses that of any other fat, and because fats are an essential component of nutrition and an integral part of a healthy diet, extra virgin olive oil is without question the healthiest of all fats. Not only does it consist mainly of healthy monounsaturated fats, but it is the only fat that contains high levels of healthy antioxidants known as polyphenols. Olive oil is 100% fat and contains 120 calories in 1 Tbsp (0.5oz). Olive oil calories are exactly the same number as found in vegetable and animal fats, such as canola or butter; however, olive oil is by far the most nutrient-rich. While many people want to know how many calories are in olive oil, research finds that not all calories are necessarily equal. A famous study by two British researchers, Professor Alan Kekwick and Dr. Gaston L.S. Pawan at Middlesex hospital in London tested four different 1,000 calorie diets. One diet consisted of 90% fat, the second diet consisted of 90% protein, the third diet consisted of 90% carbohydrates, and the fourth diet was a normal mixed diet of fats, proteins and carbohydrates. The resulting data shows that several subjects on the high-carb diet actually gained weight, even at only 1,000 calories a day, while subjects on the high-protein diet lost weight; however, subjects on the high-fat diet lost considerably more weight than any of the other diets. A more recent study, led by Cara Ebbeling, PhD, associate director and David Ludwig, MD, director of the New Balance Foundation Obesity Prevention Center Boston Children's Hospital and published in The Journal of the American Medical Association, also challenges the notion that a "calorie is just a calorie". The study finds diets that reduce the surge in blood sugar after a meal - either low- glycemic index or very-low carbohydrate - may be preferable to a low-fat diet for those trying to achieve lasting weight loss. - Read more about the study here. When you are getting all of the healthy fats and associated nutrients that your body needs from EVOO, you will eliminate cravings that lead you to nutrient-empty foods like, soda, cookies and breads. By emphasising nutrient-rich extra virgin olive oil, vegetables and protein in your diet, you can avoid excess consumption of weight-inducing sugars and grains. Consumption of man-made fats, such as trans fats found in hydrogenated and refined vegetable oils, interfere with numerous biochemical processes in the body and can cause serious health problems and contribute to weight gain. 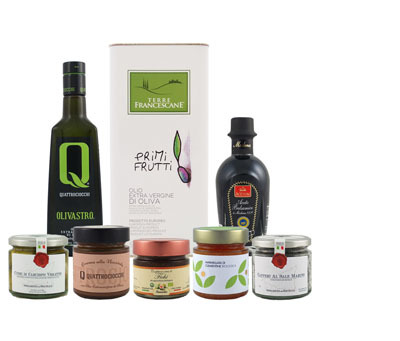 When you consume EVOO and its associated nutrients such as polyphenols, you provide vital nourishment to every cell in your body - nourishment that supports optimal function of your nerves, brain, hormones, immune system and metabolism, but beyond that, olive oil makes you full and satisfied. By feeding your body the healthy fats it needs and increasing your intake of olive oil, research shows you will feel more full for a longer period of time and be less tempted to overeat, thus making olive oil an important aid in weight loss and overall improved health for adults and kids alike.